The NY Times Morning Briefing reaches over 1.7 million subscribers. In a user survey of 13,000 readers, 97% said they were “somewhat” or “very satisfied” with the product. How could they make a successful editorial product “better”? As a subscriber of this newsletter, we would assume you have some interest in… newsletters. This is an absolute must-read, written firsthand from the cross-functional team tasked with revamping a flagship product. 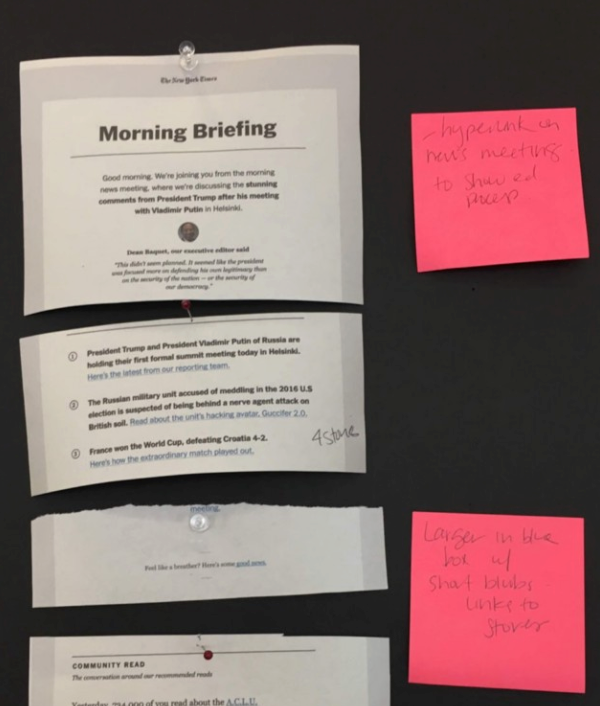 It’s a laundry list of lessons for anyone looking to improve their newsletter’ing game, covering everything from editing workflows, content structure, and of course, images of sticky notes from brainstorming sessions. Influencer marketing will play a major role in the future of commerce and content. We accept this. But, wow, did we love this. The days are getting shorter, the air is getting colder, and Spotify launched their annual year-end “Wrapped” campaign, that yearly extrapolation of Spotify user data that threads the line between genius and creepy (an ad featured that fact that one user played ‘Sorry’ 42 times on Valentine’s Day). This Fast Company article combines a number of our favorite topics (algorithms, branding, content) into an argument that “invisibility is a liability” when it comes to productized-AI. In the case of Netflix’s famous recommendation algorithm, AI is “indispensable” but not “fundamental” to the product. You can watch longform video content regardless of the recommendation. However, in the case of YouTube, where search and related content are completely core to the experience, the “YouTube AI is the product”. As underlying algorithms move from quiet optimization tools to major brand liabilities, the author argues at-risk brands should begin bringing personality and life to their algorithms (i.e Alexa). 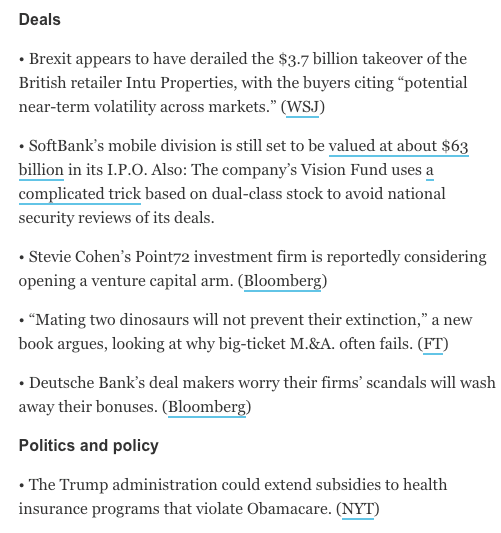 In honor of the NY Times newsletter strategy piece leading this week’s edition, we will recommend the NYTimes Dealbook newsletter. For accessibly insider financial market and economics news, it’s always a helpful read. They were very early in the practice of responsive design, bulleted analysis, and it was one of the first products from the firm we saw heavily leaning on external content curation.